Fashion and function meet as luggage brand Antler attempt to revive luxury travel. The brand’s spring/summer 2014 collection pulls on 100 years of tradition with innovation and creativity at the centre of the new offering. The collection is made up of suitcases, cabin luggage, handbags and business accessories, all in colour pop shades of the season. 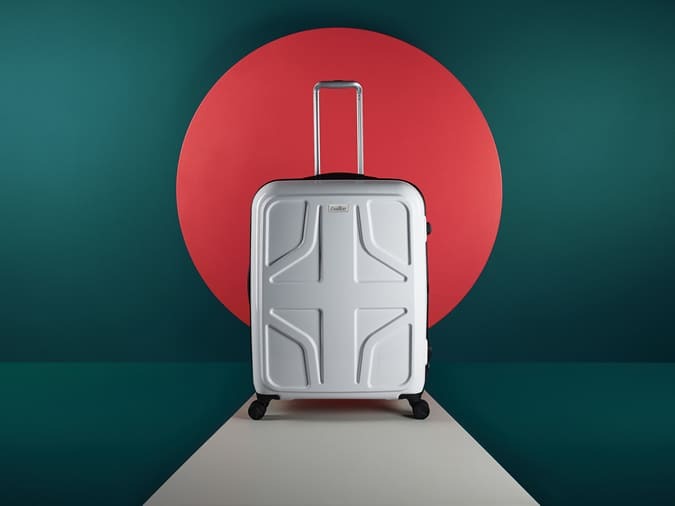 Existing styles, such as the Juno, have evolved to become the star of Antler’s rolling luggage line. The style carries a durable polypropylene shell, yet remains lightweight and manoeuvrable with 360 degree rotating wheels. Antler has used its technical knowledge to build cases designed to take the knocks and bumps of the toughest journey, while keeping belongings safe and intact inside. The brand’s Portia model features a similar hard-shell build with an ice blue, metallic gold or silver high-shine polycarbonate finish. Brand new designs are found in the form of the Tiber and Alexus. The first is a bold but sophisticated cabin case, ideal for the frequent traveller. The second combines a framed shell with precision design and construction, to give the ideal balance of strength and style. The majority of the collection is already available online at Antler.co.uk and from stockists including Bentalls, John Lewis and House of Fraser. Antler has confirmed the Juno model will be available from January 25th, with the Alexus following from February 2nd and the Tiber from March 12th, 2014.